Hi, my name is Kathy. I am owner, operator and creator of all the products you see on my webite. 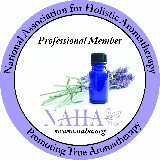 I am a Registered Aromatherapist and a Nurse. I have been practicing the art of aromatherapy since the early 1970's. I use only the purest oils available including essential oils, vegetable, herbal and nut oils. I also carry oil tinctures, infusions and extracts. Due to the vast amount of oils available, it makes it almost impossible for me to list or show them all. 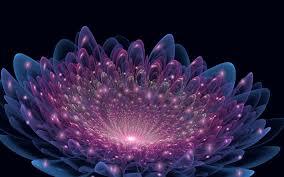 Should you be seeking something in particular that is not on my site, please email and ask. Chances are, I will have it. I also carry supplies such as the essential oils, carrier oils, hydrosols, and needed accessories like glass and PET plastic jars and bottles of various sizes. I have glass rods, misters and pumps etc. I am in the process of listing these items on my site but it takes a bit of time. In the meantime if there is something you are looking for and can't find it please email me. I probably have it but it isn't listed just yet. I also have an assortment of dried herbs and herbal teas. Please call or email me with your questions. I will be glad to help you! 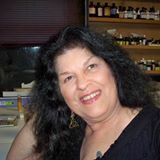 I am also an instructor for the East West School of Herbal and Aromatics Studies. I teach the Aroma101 Foundations Certification Course and also the Aromatic Scholars Certification Course. In addition to these courses I also teach individual courses such as Body Butters, Spring Cleaning, and many more. I also teach classes on the Metaphysical side of Essential Oils such as How to Meet your Animal Spirit Guides, Love Potion Number 726, Seasonal Gift Giving etc. Visit my site often, because I am always adding to it.